How can I setup my taxes? HOME > SETUP AREA > How can I setup my taxes? 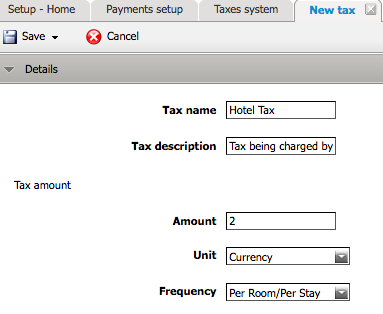 The Hotel can setup their own taxes, if they are not included in the Room rate. How can I set a Touristic tax? STEP 1: First you need to go to SETUP > PAYMENTS > TAXES. Min. Children Age - minimum age set to charge. - There is an "Don't charge" option available. 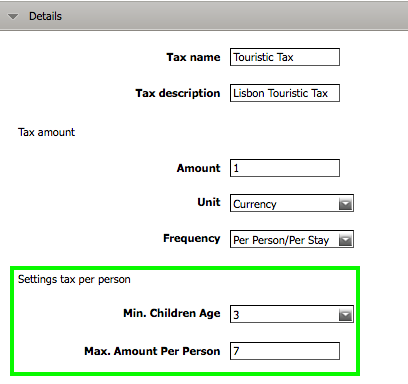 - In the example above Children over 3 years old will be charged 1 (unit) as currency. - The client will never be charged over the maximum value set. - The Max. Amount Per Person is always set as currency unit. 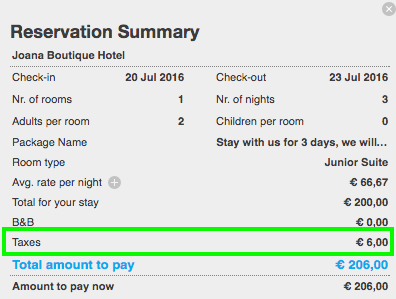 - In the example above: if the guest stays for 10 nights, he will be charged 7 instead of 10, because the "max. Amount per person" is 7 and "Amount" is 1. 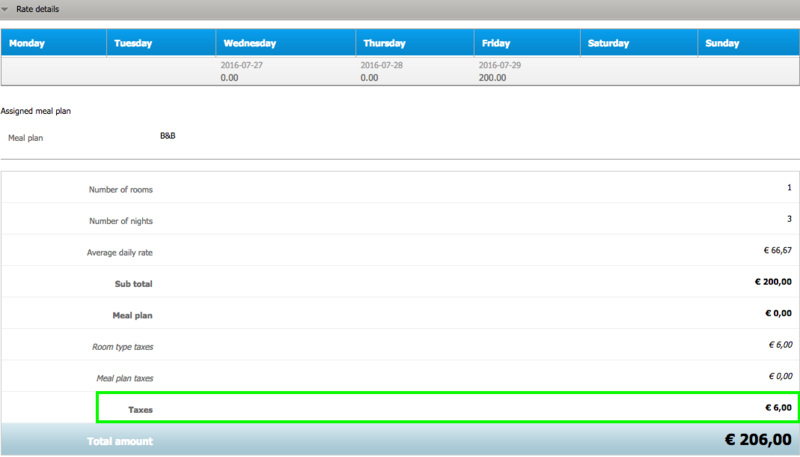 STEP 4: Make sure you save all information entered by clicking on .